Age A lady never tells; let’s just say I grew up in the 80s. Originally or most recently? I currently live in Livermore, California USA, which is known as the “East Bay” (San Francisco area). I’m an only child and loved school, though my school experience was somewhat atypical because I was in a special program. I went to the University of Texas for an undergrad degree in media studies (emphasis on screenwriting, and I interned on the film set of Hope Floats) and then on to Emerson College for a Masters in Writing, Literature and Publishing. It was at Emerson that I met my husband, also a grad student. I went on to intern at Houghton Mifflin, and that turned into a job post graduation, and then I moved on and worked for Pearson for a while before deciding to focus on my own work. I basically left the work force when I had our first child and began writing during nap times. 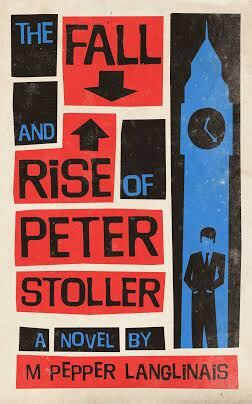 That Tirgearr has picked up my novel The Fall and Rise of Peter Stoller! They’ve set a pub date of 20 January 2016. I’ve always been a reader, and I guess at some point I had stories I wanted to tell. I remember a distinct feeling of no one ever listening to me, so I thought if I wrote it down, maybe someone would at least read what I have to say. By the time I was seven or eight I was writing stories for the kids in my neighborhood and filling notebooks with bad drawings and poetry. My second-grade teacher really encouraged my efforts, and the program I was in, too, gave me many opportunities to explore writing as an outlet. My first book was my Master’s thesis. I wrote it because I had to, or really because it was either write a book or write a really long paper and I would much rather make stuff up! But the source of that book, which was a middle grade novel, came from work done with Dr. Douglass Parker at UT. He was a professor and mentor of mine, and he taught a course on Parageography that was really a fantasy writing course disguised as Classics. Probably. Though I wouldn’t be able to say what it is. Fiona: Why did you go with Tirgearr Publishing? I’ll admit I hunted for agents first, and I got a lot of great feedback and encouragement, but then also a lot of rejections. And I began to wonder why I was putting myself through all that? After all, I knew Peter was sort of a specialized book that agents probably would balk at trying to sell. And even if I did get an agent, that agent would then have to try and land a publisher. Why not go directly for a publisher and cut the middle person? After all, a smaller publisher means more attention per book. And even with big houses, you’re going to have to do leg work on marketing. So then I actually received an offer from a different publisher, but I didn’t much care for the way they behaved during the contract process. And some research on my part showed they weren’t recommended by authors. So I turned them down and kept looking. Then Tirgearr offered and when I researched them, it seems their authors have been very happy. Fiona: Would you recommend other authors to go with Tirgearr Publishing? I already have! I’ve encouraged a writer friend of mine to submit. Fiona: What help does Tirgearr Publishing give a author? Well, it’s early days yet, but they seem to give what most publishers would: an editor, a cover designer, typesetting, copyediting and proofreading, a modest amount of marketing help. Honestly, I polled people! This wasn’t my favorite title, but everyone else seemed to like it. There’s probably one in there somewhere. I often find, when I look back, that there is an underlying message or meaning to my work. But I don’t consciously program in a message. Most of it, I suppose. I mean, it’s set in the “real world,” but it’s a spy story, so . . . It isn’t action, though. It’s a quiet, thoughtful story, character driven. No. Though I once had a psychic tell me that some stories that come to us so fully formed may be echoes of past lives. I thought that was interesting. I mentioned Dr. Parker. He influenced my fantasy writing. I’m not sure I have any short answer for which books—I read so much and I believe everything sort of becomes an inner stew of influence. I just finished Us by David Nicholls. New to me or new in general? And how new is new? I’ve recently discovered Kate Morton and have enjoyed a lot of her books. Love Ben Aaronovitch’s Peter Grant books, too, but those aren’t particularly new. A YA fantasy, another Sherlock Holmes story, a contemporary YA retelling of Hamlet, and I have seeds of a new play and another new project planted and growing in my brain. Plus a potential sequel to my novel The K-Pro. It IS my career. I have a home office, and this is what I do. Not yet, but I haven’t spoken to the editor yet either! I would almost certainly go back and make changes to The K-Pro though. Peter was used to knowing what he wanted; feeling ambivalent made him uneasy. A streak of decisiveness was key to his trade, and Peter liked to know his own mind. So he traced his feelings back, like Ariadne’s thread. He knew he’d seen something interesting in Charles at the party; more than just sympathy for Charles’s discomfort, there had been an attraction, despite some awkwardness. He wouldn’t have made the move of inviting Charles over otherwise. Charles’s cheekbones became highlighted in a pink flush. They were nice cheekbones, Peter decided, even with a slightly too much meat over them, and Charles was handsome after all, not in the spectacular way of someone like Jules Maier, but in the easily overlooked way of ordinary men. “I like you,” Peter said. “Paperwork . . .” Charles’s voice trailed as Peter leaned in. As if taking a measure, their lips touched briefly once, twice, before making the third time count. When I was in high school, I used to write this ongoing story, a kind of soap opera that would get passed around, and one of my classmates/readers said, “You never describe what they eat. You have them eating, but you never say what it is.” And that sort of indicated to me that, while I’m good at dialogue (that’s the screenwriting) I have to make an effort with description. I have to remind myself that the reader can’t see it (or smell it, or taste it) until I put it on the page. I don’t know that I have a favorite! I seem to go through cycles, and I think it has to do with where you are in life, which authors speak to you at any given time. I guess I’ve always loved Shakespeare’s plays, though. That’s such a crap answer, and I can’t even tell you why I like them except that Hamlet’s antic behavior spoke to me from an early age, as did Ophelia’s impossible position—for some reason I find them far more tragic than Romeo and Juliet. I don’t have to, but I like to. While writing Peter I visited London many times over, though I’d go even if I weren’t writing something set there. I love to travel. Well, I originally considered self-publishing the book and I went on 99 Designs and got a designer that way. The cover I settled on—and the one Tirgearr says they will likely go ahead and use—was designed by Phil Poole. Stopping. Or finding the right place to stop. But I wanted a hopeful, if not pat, ending. I’m considering making it a series, so I wanted to leave room for that, too. Only that I hope they enjoy it. I was reading from the time I was three, so . . . Probably something by Dr. Seuss, but I don’t remember. I laugh at the absurd. I almost never cry, though The Fox and the Hound made me blubber. Where the Red Fern Grows, too. I guess animals make me cry. Oh, I’m sure there are a lot of people I’d like to meet . . . I’m embarrassed to be specific, though. How about David Tennant? He seems cool. Maybe a line from one of my works, though I don’t know which one. I should have people submit their favorites then put it in my will! Tarot. I do Tarot readings and some astrology chart readings. I enjoyed Community, which so recently ended, and Parks and Recreation, also now gone. Don’t know what I’m going to do for comedy now. As for drama, of course I watch Game of Thrones and Elementary and Sherlock and I absolutely love Broadchurch, which is so brilliantly written and well done. And I can’t miss John Oliver every Sunday night. Have to end my week with him, even though it means staying up later than I like. Wonderful interview. 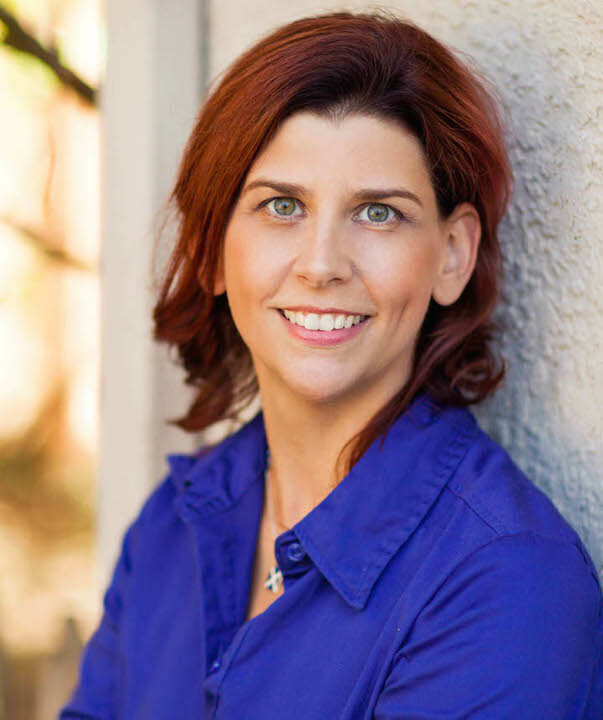 It was great getting to know more about Manda and excellent advice for other writers. The Fox and the Hound is one of the few movies that make me really emotional too. Manda, that is wonderful interview. A good insight into you, the author. I enjoyed reading the excerpt of Peter.